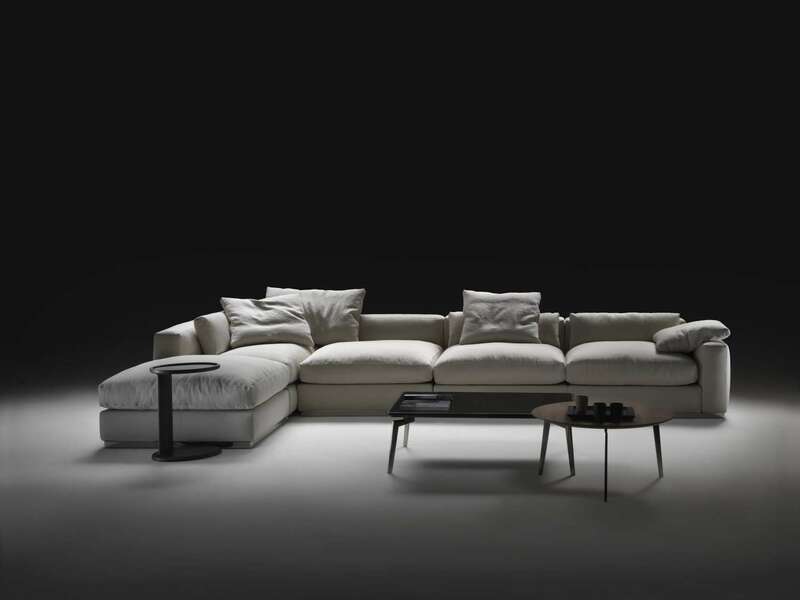 BEAUTY is a remarkably soft component sofa. 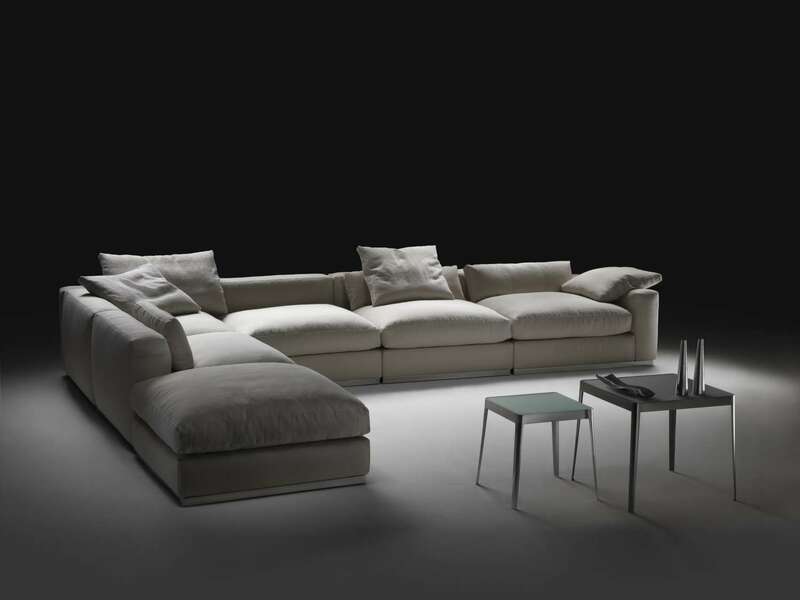 Entirely upholstered in every part, including the armrests, Beauty rests on the floor. The structure in wood and metal is concealed in a sea of down and padding materials. Beauty has low backs and armrests that enhance the volume of the large back cushions. The seat cushions filled with down feature an insert in shape-retaining material. Those who prefer firmer padding can always opt for the version with Dacron filler. Beauty is a rounded, soft product, allergic to rigidity and sharp edges. 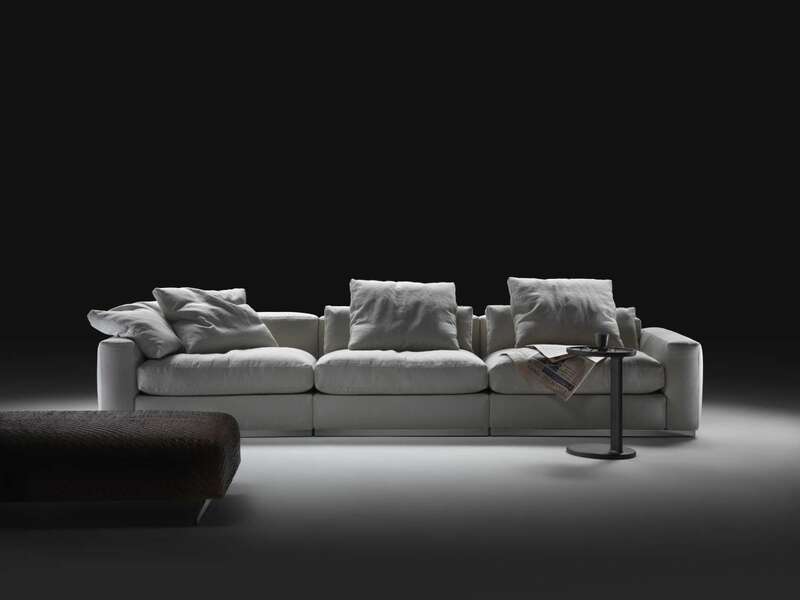 For linear configurations, for truly effortless style, Beauty appeals to people who demand absolute comfort.